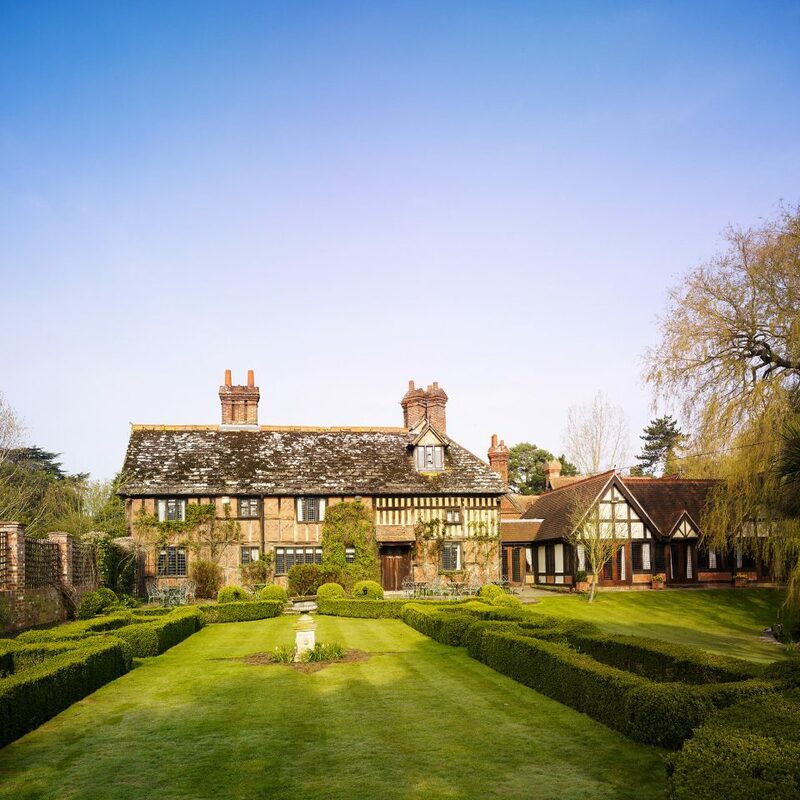 Set in a three-acre garden (complete with croquet lawn, duck pond and ancient moat), Langshott Manor is very much the quintessential English country retreat. Clad in rich red brick, supported by timber beams and topped with fishscale tiles, this 16th-century property is crammed full of character; it has been home, at various points in its history, to barons, lords and noblemen. Entry is through a Tudor-style door (with a hefty brass knocker), and inside it’s all wood paneling, beam ceilings and stained glass, with plenty of old-school styling by way of iron chandeliers, floral wallpaper and family crests. 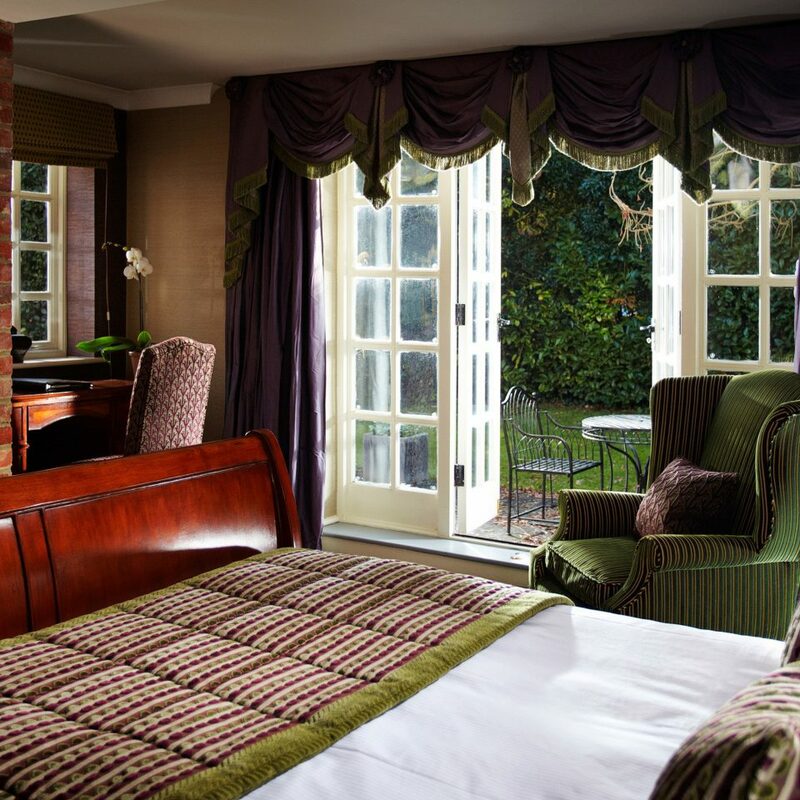 The 22 guestrooms are named after Henry VIII and his wives or local gardens, race courses and castles, and they’re stuffed with plush chairs, dark, glossy furniture and period features (exposed beams, alcoves, creaky floors, leaded windows). The regal color scheme runs from rich red to deep purple, and several rooms feature flock wallpaper or contemporary artwork. Luxury Rooms overlook the grounds, and some come with private patio gardens. 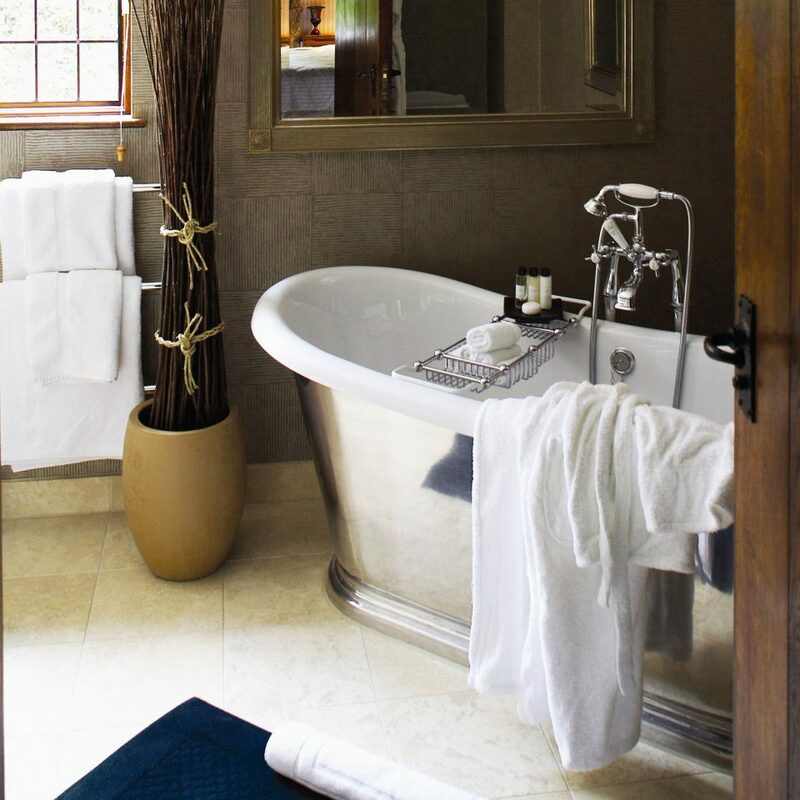 Bathrooms have Victorian-style sinks and rain showers and are stocked with Temple Spa products. Wander the leafy grounds and stop to feed the waddling ducks by the pond, play a spot of croquet on the lawn or perch at one of the ornate wrought iron tables for an alfresco drink. 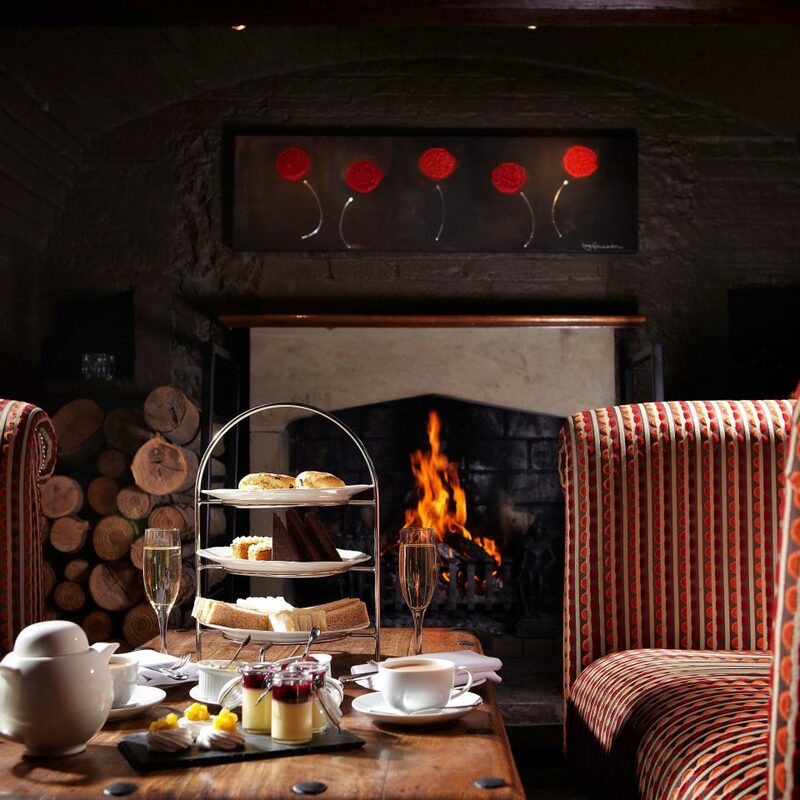 If the weather turns sour, huddle up in one of the cozy lounges in front of a crackling fire and tuck into a traditional afternoon tea (the dainty cakes are crafted by an in-house pastry chef). 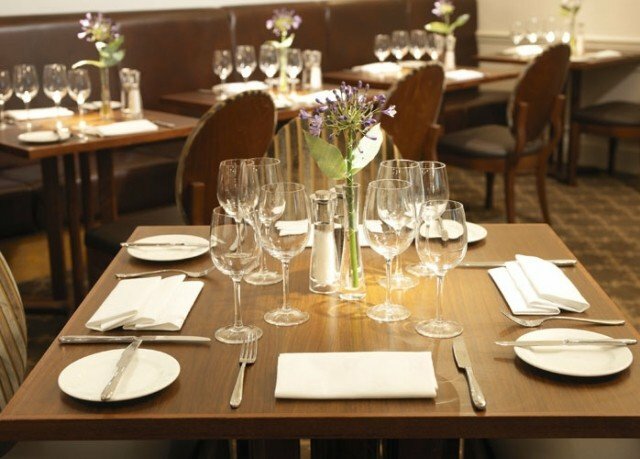 The Mulberry restaurant is a fancy fine dining spot where breakfast, lunch and dinner are served. 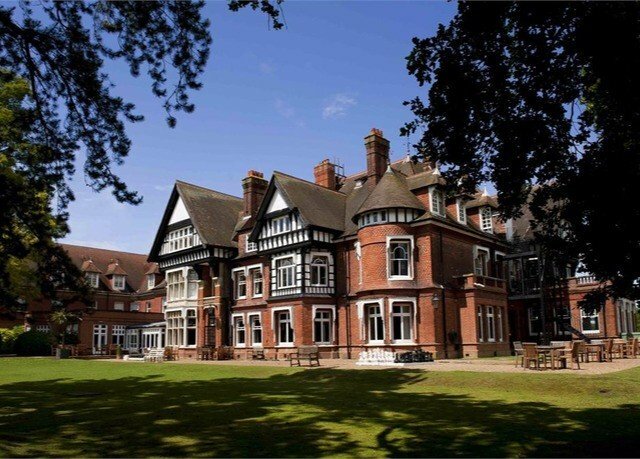 Located in a newer part of the hotel, it lacks the period charm of the rest of the property, but it’s a light-flooded room with cute leaded windows overlooking the grounds; grab a spot in the corner for the best view. 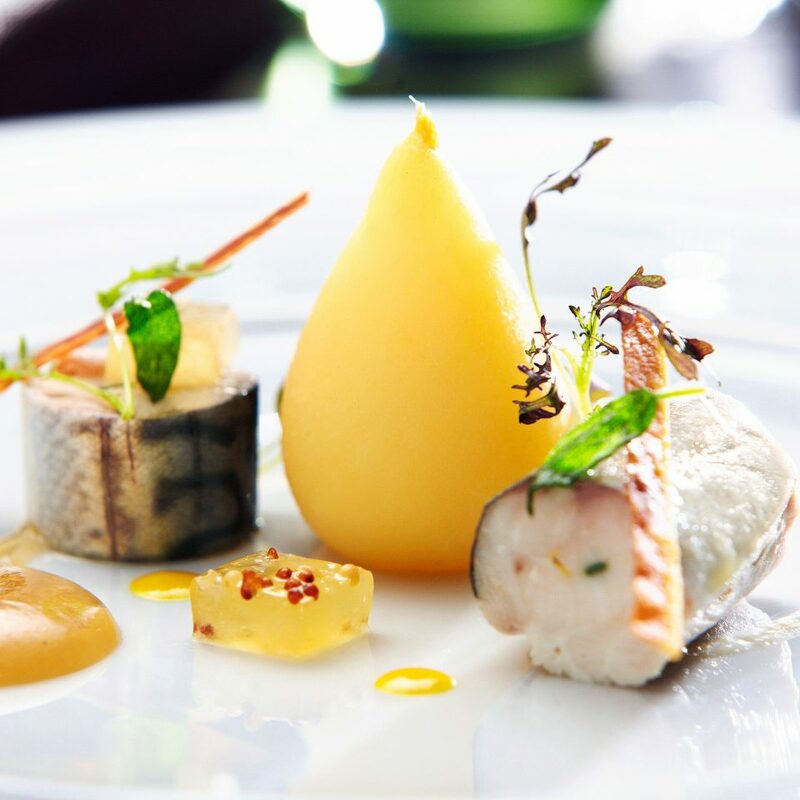 Local produce and herbs from the garden are used in the innovative dishes (Sussex pork with rhubarb and caramelized chicory, pigeon with foie gras and blackcurrant), and the breakfast menu features an impressive full English option alongside smoked haddock and poached eggs served with a Bloody Mary or a mimosa. The property feels surprisingly secluded despite being just eight miles from Gatwick Airport. It’s a great pre- or post-flight alternative to a big brand airport hotel. 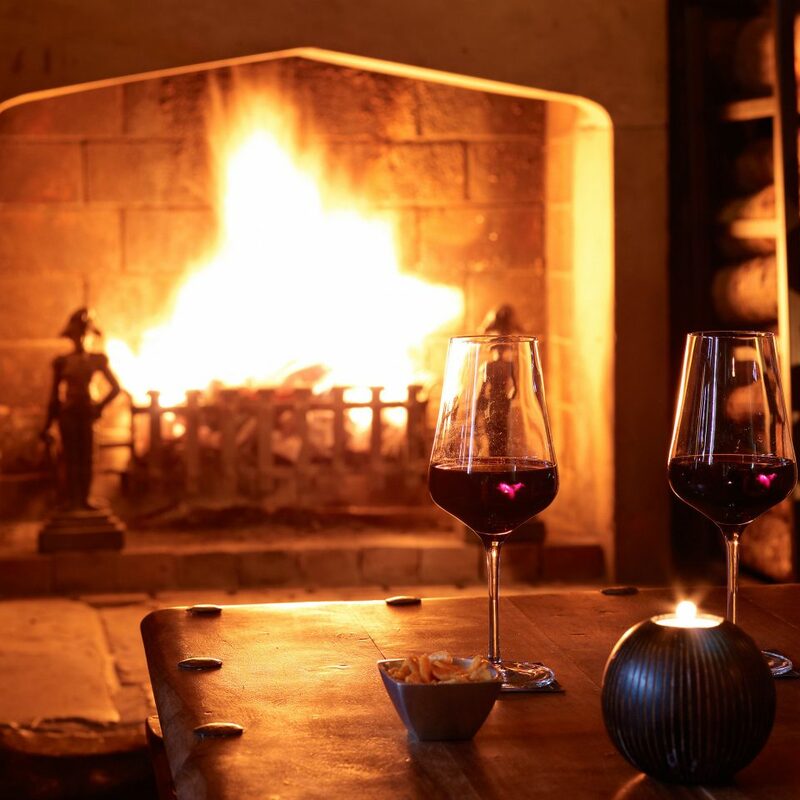 There are country walks in the immediate vicinity (maps are available from reception), or you can reach Denbies Wine Estate (for tastings and tours), Hever Castle (the childhood home of Anne Boleyn) and Chislehurst Caves (for a lamplit guided tour), within an hour’s drive. Head south to Brighton to have fish and chips on the beach, browse cute boutiques and bar-hop, and London is a 30-minute train ride away via the Gatwick Express. 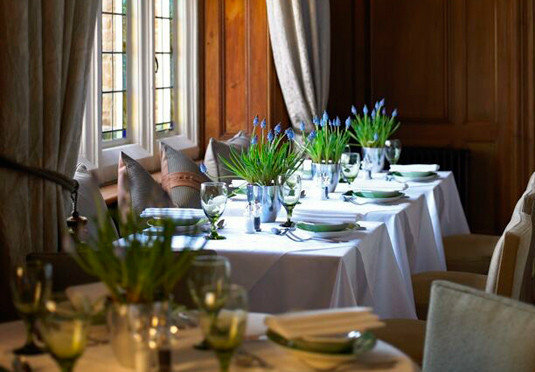 Visited Langshott Manor for a post Easter treat, and it was wonderful. All the staff were very friendly and helpful.....and contributed to us having a peaceful and relaxing break. 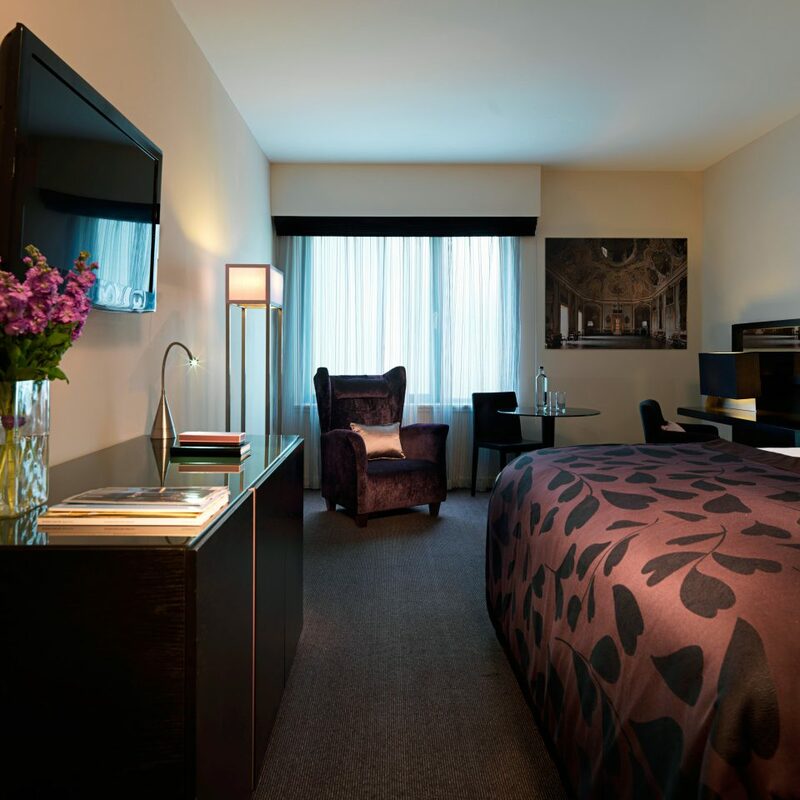 Our stay was over and above of what we expected, excellent service all round. 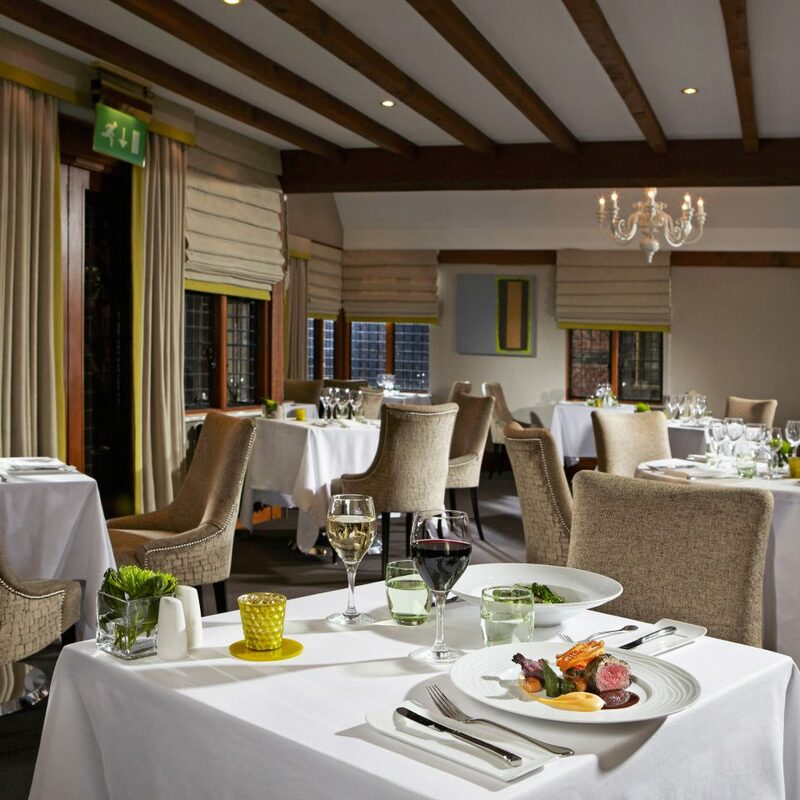 The staff were very helpful, the room was excellent, breakfast and dinner exceeding good. We would stay again, when visiting family. On arrival after a long week of work to stay a night at your hotel on Friday 19 April, I was surprised to find no one at reception desk. Having waited and waited, a chap came to me asking how he could help. I told him I needed to check in as I'm tired but have been waiting for someone to attend to me. I thought he could check me in, alas, he had to go and find the person who could do so. I found this entirely unacceptable. I don't recall ever being at a hotel where there was no one at the reception desk to check me in. It really was not a good start at all. The bedroom which was to have a garden view via the living room was right next to a driveway. Through the night, I could hear cars driving on the gravel pathway which meant sleep was a nightmare. I had to turn the TV and fan on to drown out the noise of passing vehicles. Might be worthwhile to have some speed bumps. Worst of all was the living room. My idea in paying for one of the more expensive rooms was to have a space to relax separate from the bedroom. Alas this was not possible. The living room patio doors that led to the garden had no curtains!!! I was told by the night duty manager that it was broken and waiting to be fixed. I felt I wouldn't have any privacy if I came into that living room with just my towel on after having a shower to watch some TV. Also with no curtains, the light in the morning would not be helpful in sleeping in so I was restricted to spending my entire time in the bedroom. Lastly, the face plate on shower control came off. I just couldn't understand how a hotel of this standing, could be so poor on details. Absolutely one of the worst value for money experience I've had. Again, I arrived for checkout on Saturday morning and there was no one at the reception desk. I had to wait to get the attention of staff walking by to help call on someone to check me out. I informed the lady of my terrible experience at the hotel. All she did was say sorry and I will inform a manager. It's over 48hrs since this terrible experience and no one has been in touch to explain how or why such a thing could have been allowed to happen at your hotel which felt like a hostel at times. I feel as though the "I will tell a manager" was used to just get rid of a whinging customer. I am usually one to never complain about anything. I accept that perfection is not possible at any time, however, this - to me was just a poor experience overall. Beautiful location and Manor House with amazing grounds. Friendly and very helpful staff who did an amazing job helping me propose to my partner by dressing the gazebo in candles and rose petals with champagne on ice. Only let down is the new kitchen / menu. 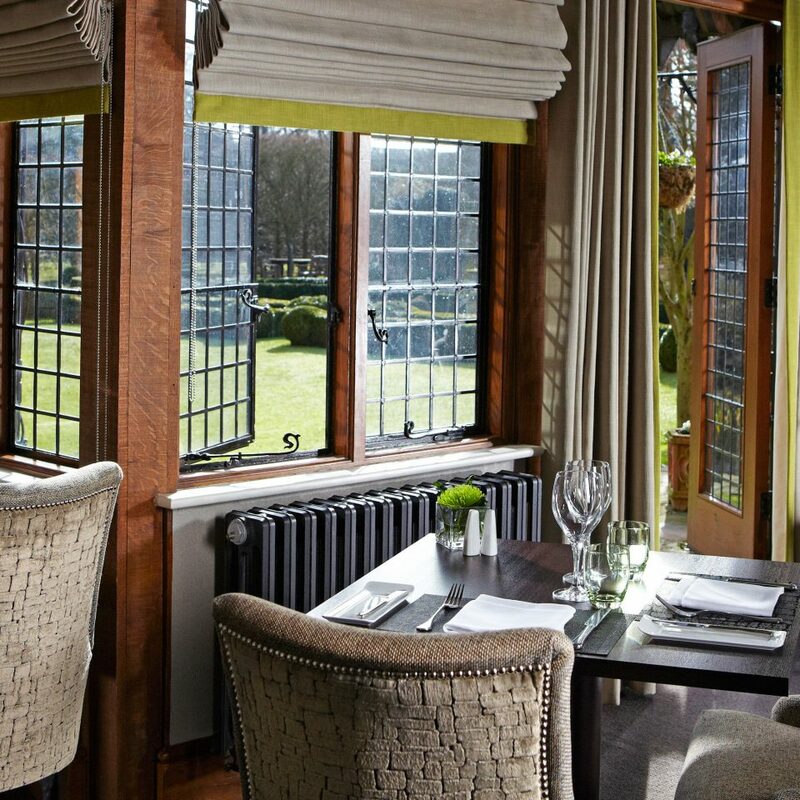 Good food but nowhere near as nice as the previous fine dinning we have Experienced at langshott manor on our previous 2 visits (2017/2018) vegan options for my now fiancée were very limited. Beautiful intimate Elizabethan building and gardens.just struggling to position itself correctly. It wants to be a luxury small hotel but is currently not delivering enough to manage customer expectations imo. 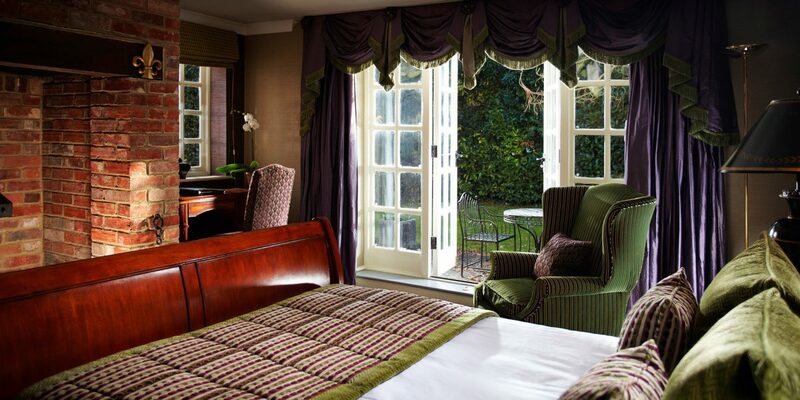 We stayed in the large Wisley suite - great bed and linen and bathroom but furniture dated and a bit shabby. Very expensive dinner menu that is ok but you need to really impress me and breakfast was poor for the price. I think either improve the interiors and food offering or drop the prices. Langshott Manor is in the middle and probably disappointing people who understand quality and are prepared to pay for it.